I think this is a good thing in the sense that Walker continues to remain tone deaf to the Recall effort. The major protests are over in Wisconsin. We have moved on to the Recall effort. This move does nothing but further energize that movement. Got to give the guy credit. He is nothing if not consistent. 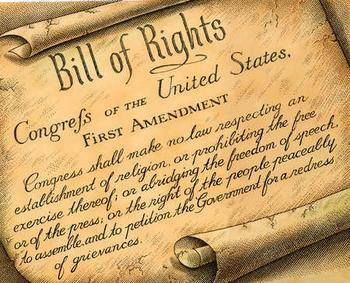 The Wisconsin Constitution, Article I, Section 4, states quite clearly and unambiguously that "The right of the people peaceably to assemble, to consult for the common good, and to petition the government, or any department thereof, shall never be abridged." Section 3 states that, "... no laws shall be passed to restrain or abridge the liberty of speech ..."
Walker's policy on Capitol access and protest, demonstrations, permits, etc is indeed, in a word, unconstitutional.